For the party boy who just needs a place to crash close to the nearest gay club, to cultured traveler looking for a boutique hotel, Santiago has something for everyone. 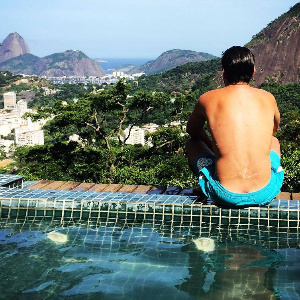 The following short list of gay-friendly places to stay are mostly in Bellavista, the cultural heart of the city with easy access to both museums, restaurants, and nightlife. Luxurious boutique hotel in a converted mansion in city’s cultural center, Bellavista. Each of the rooms at the Aubrey is individually decorated with stylish bathrooms. The Aubrey has a heated outdoor swimming pool with 3 massage jets and an integrated jacuzzi. There’s an indoor/outdoor bar with poolside service. This gay-owned and operated establishment was the TripAdvisor winner for Best Inn/B&B in Santiago. However, as of late 2015, Casa Moro is no longer on the market and there is no contact info for the management. Casa Moro and its owners were beloved by gay visitors staying in Santiago. Set in an elegant house with comfortable common areas, Dominica Hostel is a short walk from poet Pablo Neruda’s house. Rooms are private with shared bathrooms. Dominica Hostel is a great low-budget option to stay in Bellavista. Beautiful four-story colonial house in Bellavista with modern design and amenities. Plan your day over breakfast in the courtyard with the help of friendly and helpful staff. Gay friendly, too! Reviews are almost 100% positive for this bed-and-breakfast located in Bellavista, but a few blocks away from the noisy ground zero of the city’s nightlife. Click below for a photo gallery and more info on Hotel Patio Yungay. Stay with gay locals while you explore the city. Several great apartments in Santiago are now available. Click below to start your search. In an Art-Deco style building with a rooftop terrace overlooking Providencia, Mito Casa Hotel offers elegantly decorated rooms with hardwood floors. All of rooms feature minibars and heating. A buffet breakfast is served daily in a charming breakfast room. Free bikes can be requested to explore the city. 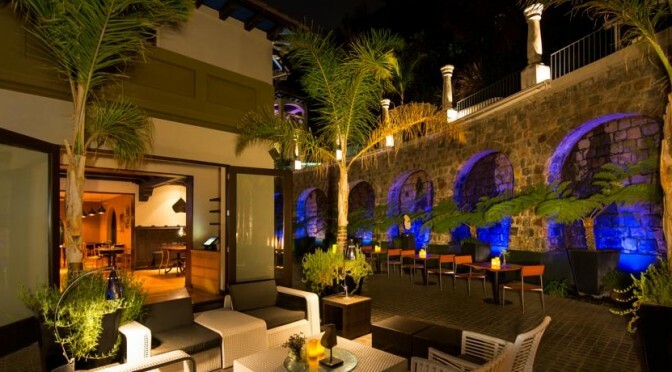 Guests can also unwind in the terrace, enjoying scenic views of Santiago. Bars and restaurants in trendy Bellavista are around the corner. True apartment-style living. This is a great choice if you all of the amenities of your own one bedroom apartment. There’s a full kitchen, a living area with stylishly modern furnishings, and even a small balcony. One issue is noisy neighbors on the weekends, but if you are out partying until the crack of dawn yourself, it’s not an issue. There is a front gate, but no hotel-style front desk with English speakers. Stylish and sophisticated, the 5-star W Santiago offers a roof-top swimming pool and luxury guest rooms. The hotel is centrally located, with panoramic views of the Andes Mountains. The W Santiago also hosts the hip gay-friendly part Lobo. For a complete list of hotels and apartments in Santiago, visit Booking.com for the lowest prices.